BISMARCK, N.D. (AP) — North Dakota Gov. Doug Burgum has unveiled a $14.3 billion budget that raises state spending 5 percent and seeks to replenish reserves that were used to balance previous budgets. His two-year blueprint presented to the Legislature Wednesday offers state employee pay raises, and spending increases on education, human services and infrastructure projects. The budget calls for $35 million from Legacy Fund earnings to replace the aging State Hospital in Jamestown and eventually repurpose it as a minimum-custody correctional facility for men, which in turn would allow the state to relocate women’s prison services from New England to the Missouri River Correctional Center south of Bismarck. Together, these changes will allow for consolidation of facilities and more efficient operations that will provide long-term savings of at least $7 million per biennium. 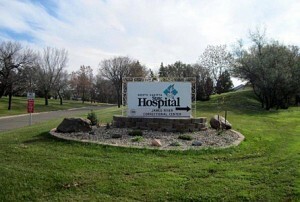 Prairie Public Radio reports, Democratic Senator Kathy Hogan says Burgum’s recommendation that a new State Hospital and Clinic be built in Jamestown means lawmakers will have to look closely at the details of that proposal. Hogan says she thinks the idea of consolidating the corrections activities on the facility grounds in Jamestown makes sense.